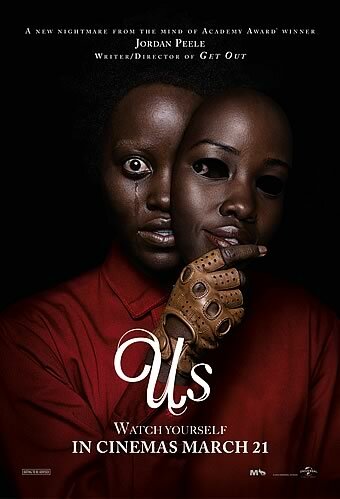 Synopsis: Set in present day along the iconic Northern California coastline, Us, from Monkeypaw Productions, stars Oscar®winner Lupita Nyong’o as Adelaide Wilson, a woman returning to her beachside childhood home with her husband, Gabe (Black Panther’s Winston Duke), and their two children (Shahadi Wright Joseph, Evan Alex) for an idyllic summer getaway. Haunted by an unexplainable and unresolved trauma from her past and compounded by a string of eerie coincidences, Adelaide feels her paranoia elevateto high-alert as she grows increasingly certain that something bad is going to befall her family. After spending a tense beach day with their friends, the Tylers (Emmywinner Elisabeth Moss, Tim Heidecker, Cali Sheldon, Noelle Sheldon), Adelaide and her family return to their vacation home. When darkness falls, the Wilsons discover the silhouette of four figures holding hands as they stand in the driveway. Us pits an endearing American family against a terrifying and uncanny opponent: doppelgängers of themselves. 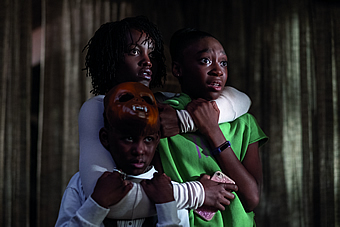 We may never know what Jordan Peele wants to say in his second feature film. But that’s exactly the beauty of this horror movie. 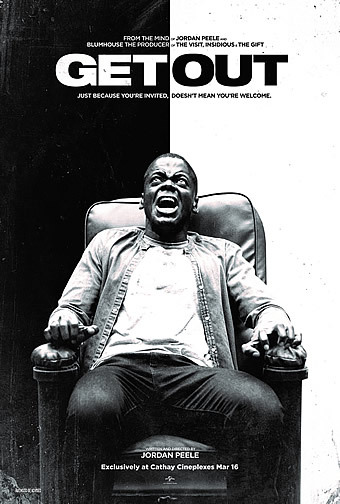 In the phenomenal Get Out (2017) penned and directed by Peele, the message beneath the horror flick is racism and how white people are supreme psychological terrorists. The smart satire won an Oscar for Best Original Screenplay. 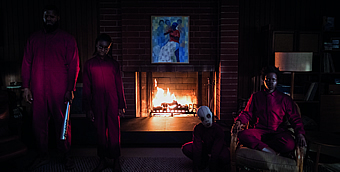 With a predominantly African American cast, one would think that Peele’s sophomore project will deal with race, but it seems to be more ambitious than that. In the spotlight time are the Wilsons, a middle class African American family of four (Winston Duke, Lupita Nyong'o, Evan Alex and Shahadi Wright Joseph) who are on vacation at their beach house. One night, another family of four dressed in red suits shows up. What’s creepy is that these folks are doppelgangers of each member of the Wilsonfamily. A nightmare involving scissors, rabbits and a terrifying childhood incident ensues, and yes, there will be blood. While the concept of doppelgangers isn't a new thing in movies, this 116 minute movie uses them to such great effect, the result is gleefully frightening. Spooky makeup isn’t required to create scary characters, and having the same actors play the mirror versions of themselves is a brilliant move. The beady eyes, soulless body language and weird groans may keep the timid wide awake at night. 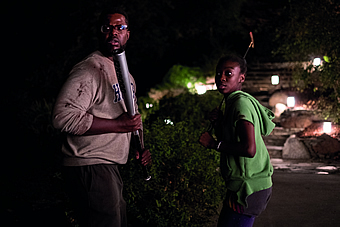 Needless to say, the ensemble cast delivers memorable performances. 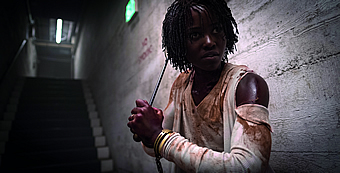 Each of them gets to portray to personalities: Nyong'o (12 Years a Slave) is both a courageous mother and a vengeful monster, while her Black Panther co star Winston Duke is believable as wannabe cool Dad and a blockhead zombie. 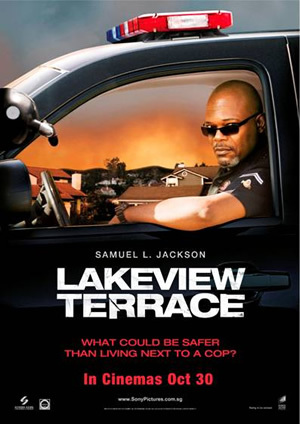 Wright Joseph plays their teenage daughter, and Alex takes on the challenging role of a socially awkward son. Elsewhere, Elisabeth Moss (The Old Man & the Gun) and Tim Heidecker (Ant Man and the Wasp) portray the family’s privileged white friends. Without giving away too much, the duo gets their share of fun as well. 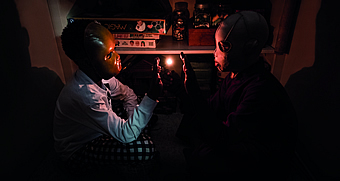 Peele shows that he is not a one hit wonder with the thought provoking themes explored in this film. Class, religion and memories are some of some of the obvious ones that viewers will discuss after the movie ends. There are many things to decipher if you enjoy reading into a movie’s subtext – film students will have a field day unfolding the layers of social commentary, symbols and visual mise en scene. In one scene, a doppelganger grins with a smirk: “We’re Americans”. In another, someone asks whether they should escape to Mexico. And in a spectacular sequence, we see characters mimicking the 1986 Hands Across America charity campaign where about 6.5 million people held hands along a path across the country. 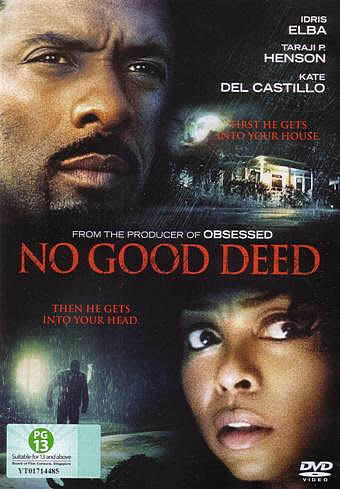 It is obvious that Peele had more budget to work with for this film. With that, he gives viewers more exciting action sequences and more entertaining exchanges. Hence, there’s no need to worry if you are not in the mood to appreciate dark and deep story themes, because there is enough entertainment to keep you at the edge of your seat.